Just over two years ago Brexit won a narrow majority in the UK. In the aftermath, Biosphere Expeditions announced it was moving its HQ to Ireland, resulting in a lively debate with 80% in favour of the move. On 1 January 2018 the move was completed. 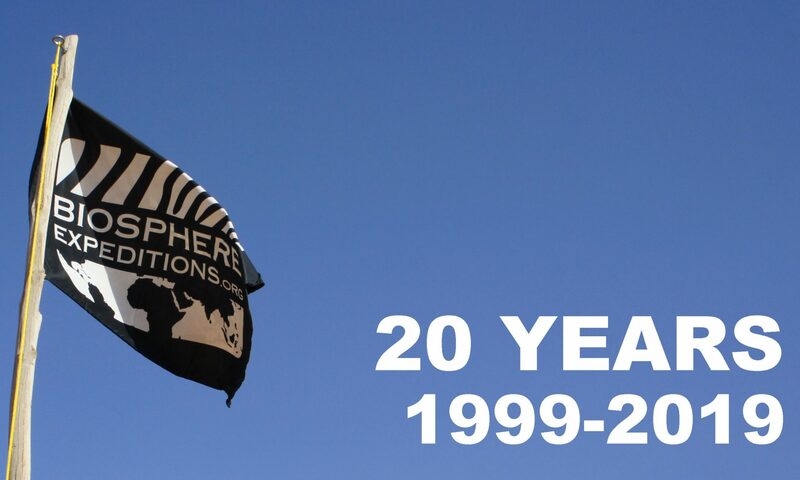 Biosphere Expeditions has also become the first Irish member of the IUCN (International Union for the Conservation of Nature). There are also plans to conduct wildlife conservation expeditions in Ireland, “but it’s too early to reveal details”, says Hammer. The “Black Church” business centre in Dublin, Biosphere Expeditions’ new HQ in Ireland. We have flipped the switch! We have now flipped the switch to a new website, a new base currency (Euro), new ways to pay and a new HQ (Dublin). If your invoice is due for payment in 2018, it will be in EUR. If you joined us in 2017 with an invoice in GBP, this invoice will be reissued in EUR about two weeks before the due date. You can see the new EUR expedition contributions here. Our terms & conditions have also changed, but they are identical except for now referring to our Irish HQ and Irish law. Nothing much should change, except that the payment will now originate from our EUR account. However, we will continue to pay you in your local currency, so you should not notice much of a change. The base currency has now switched, but you can still invoice us in your local currency to be paid into your local account, so not much should change for you either. See also www.biosphere-expeditions.org/offices and www.biosphere-expeditions.org/non-profit. We will retain our presence in the UK, Germany, France, USA and Australia as normal and no existing staff members will move to Ireland. However, the base currency will switch from GBP to EUR on 1 Jan 2018, as will the HQ from Norwich to Dublin. All of Q2-Q4 2017 will be the switching period of moving the HQ from the UK to Ireland. Invoices issued and due in 2017 will be issued in GBP, invoices issued in 2017 and due in 2018 will be issued in EUR. The base currency (for expeditions and everything else apart from experience days) will switch to EUR towards the end of 2017 and by 1 Jan 2018 at the latest. If your invoice is due for payment in 2018, it will be in EUR, to be paid into the account in Ireland. Invoices due in 2017 will still be in GBP, to be paid into the account in the UK. Nothing much should change, except that the payment origin will switch from the GBP to the EUR account sometime towards the end of 2017. We will continue to pay you in your local currency, so you should not notice much of a change. The base currency will switch to EUR on 1 Jan 2018, but you can still invoice us in your local currency to be paid into your local account, so not much should change for you either. It is with great shock and sorrow that I notice the UK’s Brexit vote this morning. Following the campaigns, I was saddened not only by the overall tone of the debate, but also by the fear mongering and the ‘them and us’ attitude evident on both sides. Although the weight of economic opinion was in favour of staying inside the EU, I could see that there were valid arguments on both sides. Ultimately the outcome and repercussions of Brexit are unknowable and only time will tell. For me it therefore came down to a choice of visions of the kind of world we want to live in. Do we want to exist in a world where nationalistic interest, attitudes of ‘them and us’, suspicion and fear of the unknown – be it people or challenges – rule the day? History has told us where this leads. Or do we want to live in a world of collaboration, common visions, shared values, working towards a greater good, compassion and kindness? For me the answer was always obvious. The EU may be an undemocratic behemoth in serious need of reform, but it has given us freedom, peace and prosperity on a continent that until very recently had been at war with itself for millennia. Yet today it is unthinkable for my children to return to a trench, just because we disagree with the French or Italians or any other European partner for that matter. For that alone, the EU deserves the highest praise (and its Nobel peace prize) and I would be prepared to give up the Deutschmark or Pound any day of the week, over and over again, for that achievement. As a German, having grown up in a federally organised state, for me there has never been a contradiction between being Franconian, Bavarian, German and European, all at the same time. It is not the either/or questions that it seems to be for the British (or rather English and Welsh). A feeling of belonging exists on multiple levels. You can support Arsenal as well as England, Bayern Munich as well as Germany. I am very sad to see that in England and Wales it was indeed either/or, rather than both. And if it had not been for the EU, Biosphere Expeditions would probably not exist today. After school in Germany, I came to the UK (Scotland and England) to enjoy a first-class university education in biology, something I will always be grateful to Britain for, but something that would not have happened, had it not been for (very unbureaucratic) financial support from the EU, which paid my university fees by default, simply because I was an EU citizen studying in another EU country. I was free to study, move, live, marry, have children, start an NGO and thrive anywhere on a continent of shared values and visions. I am disconsolate that the UK took a significant step away from this yesterday. But this is the decision. And nothing is as constant as change, and the root of all sorrow is the attempt to cling onto things in constant flux. 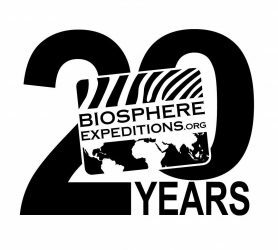 So, as far as Biosphere Expeditions is concerned, our very own exit plan is now to move operations to Ireland and/or Scotland (should the Scots indeed split from the UK and remain in the EU). We have already started this process. I would like to assure our partners, supporters and friends that we are committed to our existing expeditions and partnerships and will work hard to keep disruption to a minimum. We will do the same for our participants and staff. Much will happen behind the scenes, but at the front end, changes should be relatively small and we will keep you fully informed about them over the next months and years, as Brexit sadly unfolds.